Better late than never. I'm a week late posting about this lovely cake. I just can't seem to manage my time around cooking anymore. I knew I'd be making this cheesecake, but I didn't know I'd be so late. I am happy I did follow through though the recipe is one of the best! Very creamy and perfect in every way a cheesecake should be. We were told to get creative with this recipe so I looked for ways to do that. I had no other fruit in the house except bananas (I think fruit and cheesecake just have to go together) so I decided to incorporate them into the batter. 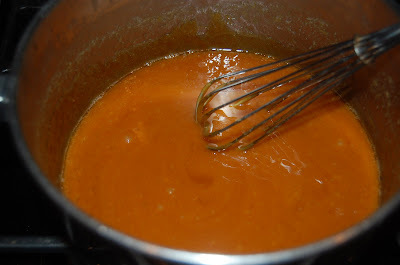 The caramel I made from scratch using a recipe I got from Simply Recipes. If you'd like the recipe click here >>> Simply Recipes. This was so easy to make, I'm so glad I stumbled upon this recipe, I'll be making my own caramel sauce from now on. 3. Combine cream cheese and sugar in the bowl of a stand-mixer (or in a large bowl if using a hand-mixer) and cream together until smooth. Add mashed bananas and mix about 30 seconds. Add eggs, one at a time, fully incorporating each before adding the next. Make sure to scrape down the bowl in between each egg. Add heavy cream, vanilla, lemon juice, and alcohol and blend until smooth and creamy. Prep notes: While the actual making of this cheesecake is a minimal time commitment, it does need to bake for almost an hour, cool in the oven for an hour, and chill overnight before it is served. Better late than never, because it looks DIVINE! Oooh! 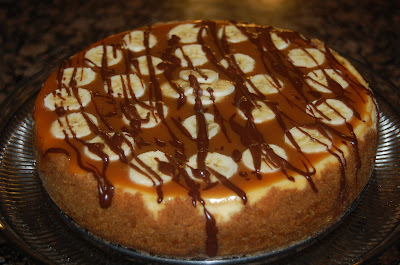 Banana caramel? I'm there! 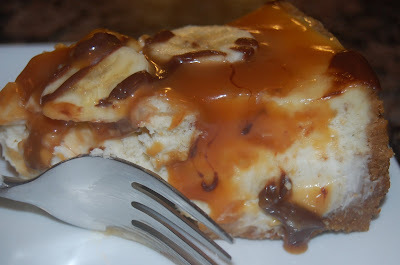 Even if it is late it still is one of the best cheesecake recipes on the planet. 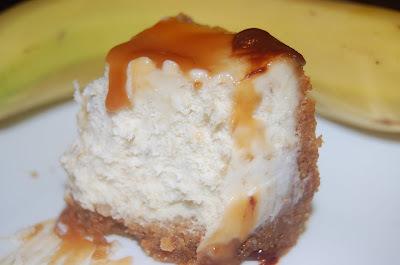 Just love your flavour combination and the caramel sauce is so delicious looking. And a really nice looking cake. Good work on this challenge. I love the flavors it kind of reminds me of a banana foster in a way. looks yummy! I'm glad you're late to post, because I am still going through and leaving comments. Do you know how many people are in the Daring Bakers? Over a thousand. Ha! This variation sounds divine. 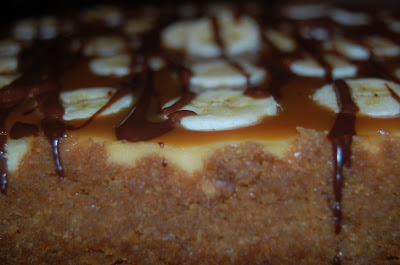 I love bananas and caramel together. Thanks for being a part of the April Daring Baker's Challenge! As Jenny said better later than never. It looks wonderful, great job Ally ! Your flavor combo sounds great! 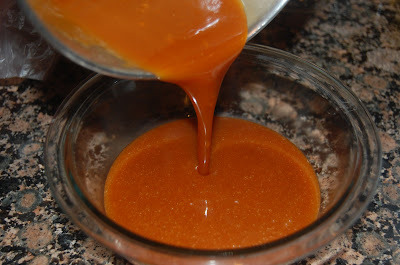 I've made that caramel sauce from Simply Recipes before, too, and I remember being so excited when the sugar actually turned into caramel :) Great job!